We have a long-time established multi-faceted vocational program that features intensive offerings in agricultural and construction programs. Our goal is for students to develop a skill set and work ethic that will make them prime candidates for meaningful employment, apprenticeship programs or other post-secondary educational experiences after graduating from Hanna. Hanna’s year-round Agriculture program connects classroom learning opportunities with practical, hands-on experiences, and is an integral part of the Archbishop Hanna High School curriculum. Many of our boys come from urban neighborhoods and have limited, if any, experience or knowledge about agriculture. Programs for at risk youth open doors to learn leadership skills, and practical applications of science, technology, ranch management, sustainability and resource cultivation., environmental protection and conservation, and meteorology—especially as it relates to climate. It also fosters community service opportunities and expansion of employment prospects. Our Agricultural program provides a host of different experiences and opportunities for skill building, from working in our small cabernet vineyard to new programs focused on sustainable gardening, culinary, and associated practices. Currently, our largest focus of time and energy is spent on our FFA program which includes breeding sheep, market sheep, pasture management, and integrative work with our on-campus construction programs. Efforts are currently underway to establish a collaborative garden and culinary training program with Teen Services Sonoma. These electives are offered as part of the main curriculum along with after school classes as an alternative to after school sports and an opportunity for students to gain industry skills while acquiring valuable graduation credits. Special classes are also held during a 7-week summer curriculum held on consecutive Saturdays (eight hours each) to provide enhanced access for Hanna students and teens from the community through collaborative efforts with Teen Services Sonoma. During these classes, students learn marketable entry level skills and valuable work experience in the construction industry. 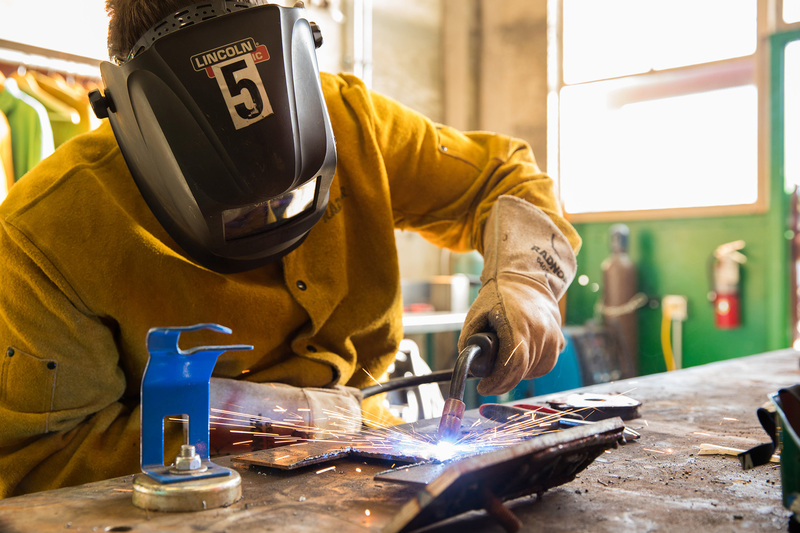 These carpentry, welding, and blacksmithing programs also provide career pathways for those potentially interested in a vocation in the construction industry. how to build a fully equipped storage shed, including the framework, electrical/lighting, windows, interior and exterior walls, vents, and door. in the carpentry curriculum, students become familiar with woodworking projects including building plans and tools, including a tape measure, square, hand saw, hammer, screw gun, miter, staple gun, etc. students support real life projects like constructing new fencing for the sustainable gardening program along with raised and wire reinforced vegetable boxes to help protect the crops from wildlife. Bird boxes have also been built and implemented around the garden for natural pest control. in the welding and blacksmithing curriculum, students learn how to operate the drill press, simple metal manufacturing using mig, tig, and stick welding techniques, operation of a D Square Plasma CNC machine, industry standard shop procedures, measuring and basic metallurgy. each curriculum facet includes work readiness training along with workplace, interpersonal, communications and self-management skills, and financial literacy.